Our guide to Columbus will help you find the best kid friendly parks in Columbus Ohio. Even when the rest of Ohio began to suffer industrial decline in the second half of the 20th century, Columbus grew, primarily because its economy is based on state government, education, finance and insurance, and light industry. Continued prosperity has made Columbus an attractive place to live and visit. The city is home to Ohio State University, which is the state's largest academic institution, with more than 50,000 students. Another well-known local institution is the Columbus Zoo, one of the nation's most acclaimed. There are tons of great kid friendly parks in the city of Columbus, our city guide will help you find the best kid friendly parks. You may have a hard time deciding what to do in Columbus, but we make your decision easy. 123 Mill St - The five-acre park set in the center of historic Olde Gahanna is best known for its lovely waterfall and scenic vistas along Big Walnut Creek. 1380 Atcheson St - Saunders Park is a kid friendly park located in Columbus OH. 150 Oklahoma Ave, (614) 475-9206 - Visitors to Friendship Park can play tennis or basketball, fish, or reserve the picnic shelter for a special event. 1554 E 17th Ave - Maloney Park is a kid friendly park located in Columbus OH. 159 S Washington Ave - Deaf School Park is a kid friendly park located in Columbus OH. 1899 W Broad St - Rhodes Park is a kid friendly park located in Columbus OH. 200 McCutcheon Rd, (614) 459-2999 - The Gahanna city park features fishing, hiking trails, playground equipment, three football fields, and a soccer field. 242 W Norwich Ave, 644643085 - Turtle Park is a kid friendly park located in Columbus OH. 2422 Eakin Rd - Hiltonia Park is a kid friendly park located in Columbus OH. 325 Greenlawn Ave, (614) 645-3643 - Berliner Sports Park is thought to be the country's largest softball complex, as such, it hosts many state and national softball tournaments. 3545 Indianola Ave - Brevoort Park is a kid friendly park located in Columbus OH. 466 Stimmel Rd - Lou Berlinger Park is a kid friendly park located in Columbus OH. 4852 Stonehaven Dr, 644643220 - Northwest Park is a kid friendly park located in Columbus OH. 66 Civic Ctr Dr - Bicentennial Park is a kid friendly park located in Columbus OH. 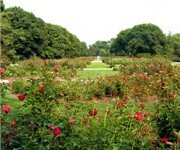 682 Park St, (614) 645-3337 - Goodale Park is a kid friendly park located in Columbus OH. 7740 Olentangy River Rd, (614) 877-3500 - About three acres of space along the river and an open, non-reservable shelter space provide river and greenway trail access. Coachford Dr, (614) 895-6225 - An undeveloped spot in very-developed Westerville provides space along the river and woods for kite flying, walking, or contemplating. N Grubb St, 644643215 - This is a community build playground. There are plenty more kid friendly parks in Columbus. 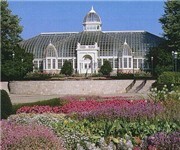 See all kid friendly parks in Columbus Ohio.